Restaurant businesses regularly think of innovation in their industry regarding adding daily specials and new-fangled signature dishes to their menu. However, today’s significant changes are occurring less on the menu and more in the software technology that is boosting competence in the restaurant industry. We all know, what is POS system software or the restaurant system software. I don’t think; I have to explain the restaurant system in detail. However, yes, I can surely tell, how does a restaurant management software works? Also, why does every restaurant needs it? Those days are over, taking the order, giving the order ticket to the cook or chief cook, collecting the cash and then entering the receivables into your cash inflow-outflow register. Those were the “Marge” days. Now, hardly of us, carry cash in our pocket. Even a middle-class person earning $500-$1000 doesn’t take cash in the pockets. Now it is all about cards and virtual payments. The POS system has now replaced these systems. So, how does this restaurant software work? Sales - The order is entered into the restaurant software and the software automatically calculates the bill with the exact change. Food Preparation - This process revolves around the waiter-cook-waiter. It gets updated after every particular task. Inventory - It also takes care of the inventory, with no trouble giving to the owner or the staffs. Theft - The stock gets disappeared from the list and the inventory. This software for restaurants protects your inventory, by regularly updating them. Reports - It tracks sales, cash inflow and outflow, staff productivity and efficiency, employee per sale; customers served in hourly and daily basis and all the other operational tasks happening in the restaurant. Now, we have already seen the working of the restaurant software; let us now know how this software for the restaurant will benefit the success of every restaurant business. The restaurant software uses the barcode scanning, which helps in modifying and completing a transaction is done at a more rapid and a prompt rate. You will see the transaction time difference when using restaurant software or the POS system. This system is high-speed and quick in accessing data. You need to have an accurate report when you have any business. Accuracy is the most critical factor when you are dealing with an extensive inventory or the stock. POS system will calculate a 100% report and a complete database. Yes, of course, the machine may malfunction sometime, and there will be no mistake even in the decimal places. It provides with en number of reports starting from the hourly transaction to the daily operations. Every sale is stored in the system. You won’t need a cash register. It helps you to extract almost all the data of the sales, inventory, staff efficiency, and transaction inflow and outflow, etc. These kinds of extractions don’t take much time, just in a fraction of a second; it answers all your questions. The POS system calculates every inch of the inventory’s inflow and outflow with an accurate calculation. This is a very efficient and a useful factor for every business and not just the restaurant, but for every retail business. It tracks the inventory and the product movements taking place in the restaurant and every other retail business. The POS system records every record and report such as sale, date of sale, price, transaction value, and almost everything. It helps you to manage enough amount of stock so that you won’t be lacking in any inventory or stock. You cannot upgrade a cash register, but that is not the case with a POS system. A primary POS system has a lot of advanced features; you can even update them on a regular and timely basis. Many modules can be added to the specific function, and you can make them as your best and an effective POS system. You can also add them to the new module to the software and then pair them with the primary software. Not just these new POS systems are fully capable of taking care of your store, but also very efficient in coming up with a new and innovative strategy. You can even get the consumer behavior with these POS system software, which will be useful for you and your business to create a perfect marketing strategy and a campaign. Every POS system’s primary quality is the ability to create and generate a range of essential and crucial business reports. These reports generally consist of real-time data related to profit and loss, favorite items, inventory stocks, transactions and per employee sale. Any restaurant using any one of the systems is very beneficial for the restaurant in record keeping and is ultimately achieved in the market. While these highly developed technologies include software and hardware, the most prominent has been the opening of tablets. The next-generation restaurant POS systems are having a profound impact on business operations, guest contentment, and revenue expansion for on the whole profitability. You just have worked hard on your business, marketing, and sales strategies. Of course, many online systems will help you, but the important thing is choosing the correct restaurant software. There is no lack of reasons restaurant operators today want to move from a legacy system which is lacking in numerous areas, to a well developed and designed restaurant software solution to meet their needs. Hence, there are many opportunities for getting a restaurant business to success and is somewhat straightforward as well. Set up a call today with one of our professional representatives to find out personally how our Restaurant management software solution can benefit your restaurant by powerfully scheduling your employees and integrating with the most current restaurant management tools. 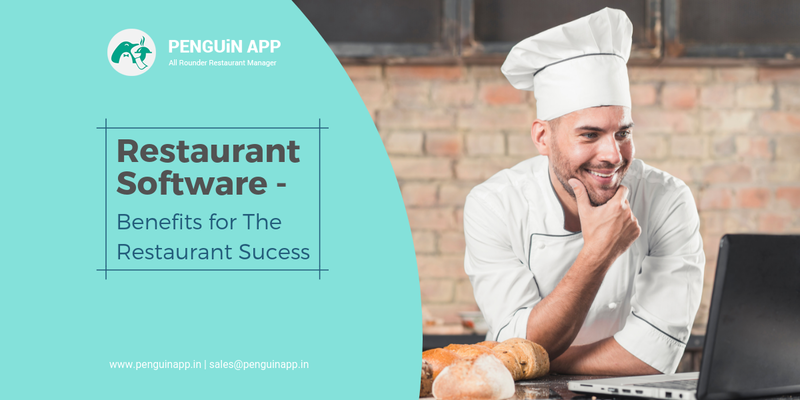 © 2018 Restaurant Management Software - by PenguinApp. All rights reserved.